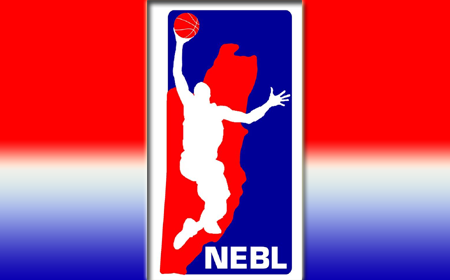 January 9, 2019– The National Elite Basketball League (NEBL) will be tipping off its sixth season next week Friday, January 18, with a huge game at the Belize City Center. Defending champions, Belize Hurricanes, will be hosting their southern rivals, Griga Dream Ballers. Last year’s semi-final matchup between these two teams went to a decisive game 3, creating a monstrous season opener. On Saturday, January 19, Belize City Defenders will travel out west to take on Verdes at the Sacred Heart College Auditorium in San Ignacio Town, while the rejuvenated Orange Walk Running Rebels will host the formidable San Pedro Tiger Sharks at the Orange Walk Sporting Complex. Here is a preview of a few roster changes that should have an impact on the NEBL landscape for the upcoming season. Defending champions, Belize Hurricanes, kept their core intact, except for the loss of Kurt “Chengo” Burgess. They added a few pieces to their roster with veteran Stephen “Muerte” Williams, Belizean American Tyrie Orosco and American big man Jordan Daniels to join forces with Devin Daly, Brian White, Akeem Watters and Glency”Coope” Lopez. Defending sub-champions, Belize City Defenders, had a roster shake-up, keeping only 5 of its 15 players from last season as they rebuild to return to the finals again. Key additions to their team include Farron Louriano, Gregory “Chippy” Rudon and Elvis Olivera. These guys will go to battle alongside defending regular season MVP, American Nigel Jones and 2-time Finals MVP, Darwin “Puppy” Leslie. Griga Dream Ballers made a great run in the playoffs last season, but still have not gotten a ticket to the big dance. They are hoping that some roster shuffles might propel them to the finals this season. They added American big man Delvon Henderson, guard sensation Jamal Kelly and lured back their local star, Quinton Bowen to their squad to join Edgar Mitchell, Daniel Conorquie, Trevaughn Usher and Macario Augustine. San Pedro Tiger Sharks was the fourth team that made the playoffs last season and they are surely desperate for another shot at the ring. Last season was surely a disappointment for the Tiger Sharks given that it was the first time that they were not in the finals. They added veteran Kurt “Chengo” Burgess, Francis Arana, Gene Myvett and Brandon Rogers to team up with Douglas Valley, Ashton Edwards, Martaveous Adams and Jihad Wright. Verdes, Belmopan Bandits and Orange Walk Running Rebels were the three teams that watched the playoffs from home last season, but they would like to reverse their fate this year. Out west the Verdes squad is in rebuild mode, bringing back only 4 players from last year, which includes Richard Troyer, Elvis Usher, Justin Ford and Elsworth Itza. They are beefing up their squad with Belizean American Tyrone Hall and American big man, Kris Frazier, while adding a sharp shooter, Kyron “Tut” Molina to work beside guards Lisani Lambey and Raheem Crawford and big man, Andrew Ortiz. Belmopan Bandits are in rebuilding mode, adding some young players to complement new comers Brandon Flowers, Rassi Jenkins and Daniel “Buddy” Nolberto. Other additions include Jamie Carbajal and last year’s Rookie of the Year, Darnell Oden, to rub shoulders with American import Jevonte Hughes. Orange Walk Running Rebels will see the return of their locals, Randy Usher and Roger Reneau, while adding 2 Americans, Devin Wyatt and Ja’Keem Yates and a Belizean American, Marquies Williams, as their goal is to make the playoffs for the first time in their franchise history.